I've come across another little quirk. I think I must use Spine too much! When adding Key frames in between keys that have already got a spline curve applied, the New key doesn't inherit the spline curve data. As I need to cut it off just after the first key and just before the last. 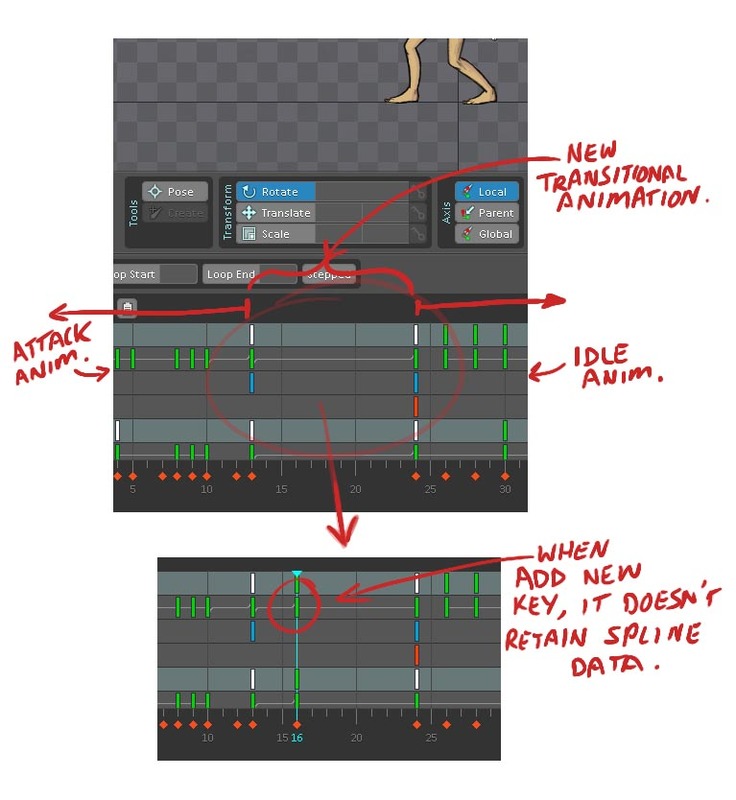 So that the new animation doesn't share Keys with the beginning and end of the adjacent animations. Makes perfect sense, I mentioned this to Nate a while back but I think we both just completely forgot about it. No, I don't forget things! The feature request doesn't make sense. 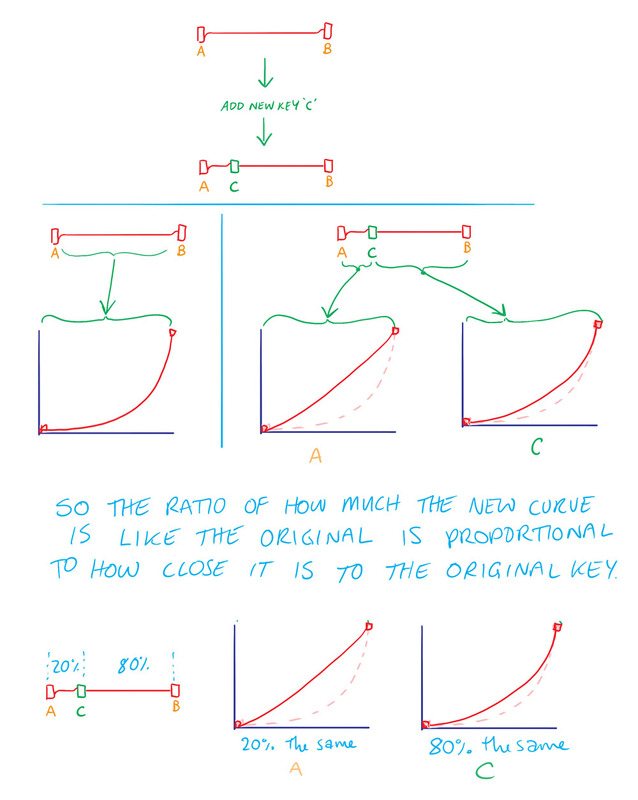 The key that had the curve before still has the same curve, no data is lost (we call them curves, not splines ). What exactly would you like to happen when you add a key after a key that has a curve? Do you want the new key to get the same curve? I don't think that makes sense. 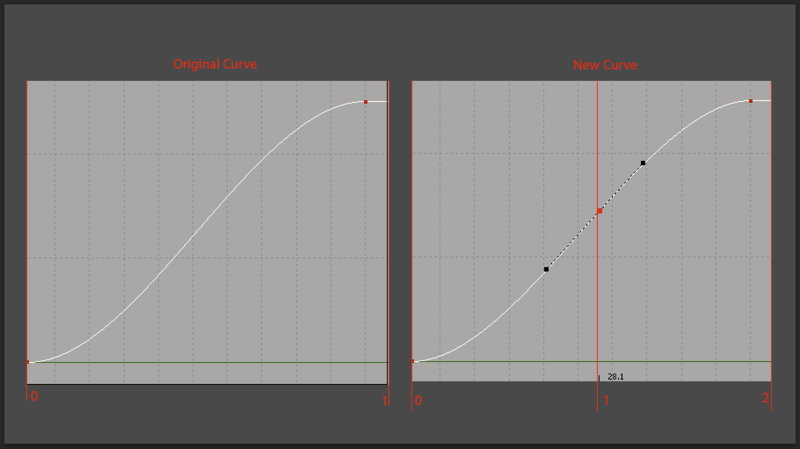 You have keyframes A -> C. A has a curve so the transition is slow, then fast. Now you add keyframe B between A and C. If B gets the same curve as A then you have: A transitions slow then fast to B which transitions slow then fast to C. This may or may not be what you want to happen. Spine doesn't know what curve you want on B. If the curve is copied from A this is just a guess, and probably not a good guess. I think if you add a key then the curves in that area need to be modified to make sense with the new key. There is no way for Spine to know what you want. This is open for discussion, of course. It it a tad confusing. What I was expecting to happen was the two new curves to be a mix of the original curve so that a continuity of speed is retained. I do realize now they're not splines, so they aren't representations of movement in space, like a 3D program. So you can't actually add a key onto the curve it self. But YES! Soren's right. The two new curves will be like two halves of the original. I think that would work for each of the attributes, even though it's a speed curve rather than a value curve. 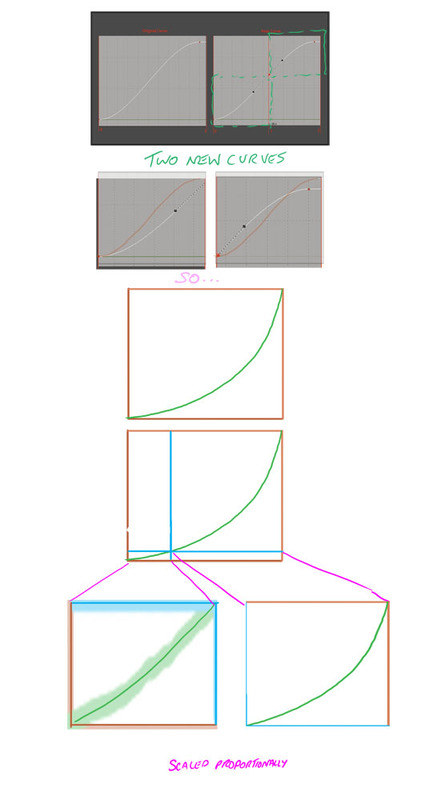 Yes.... cause each new curve would be "scaled to fit". Is this something that would be a major change in the editor? Ah ok, I get it now. Implemented in 1.3.4, available now. Nate You are worthy of a Red Ballooooon! and a certified certificate of GENIUS! As much as I don't want to retract my last statement, I must admit that I've now got v1.3.4 and it is only functional for rotation, not for translation. As far as I can tell.